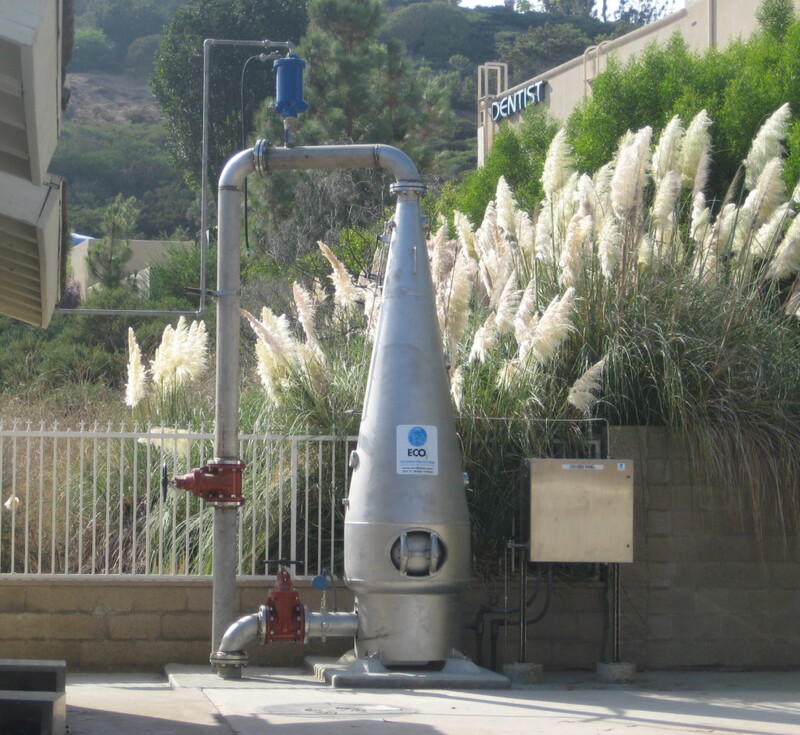 Complaints of hydrogen sulfide odors from their sewer system led the California coastal community of Moulton Niguel Water District (MNWD) to investigate such odor control remedies as scrubbers, chemical treatment and ECO2 SuperOxygenation technology. 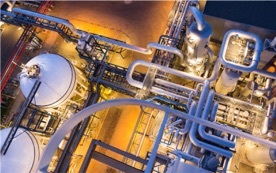 Because of physical constraints for gas phase scrubbers and the high cost of chemicals, neither was deemed practical or cost effective. 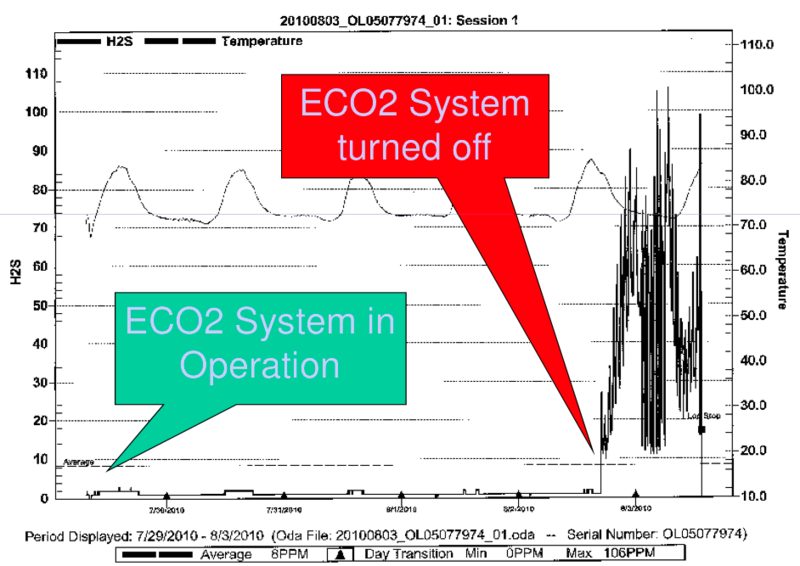 The ECO2 system offered several valuable advantages including a return on investment, increased service life of the force main (a result of preventing corrosion due to hydrogen sulfide formation) and the elimination of odors at the force main discharge. 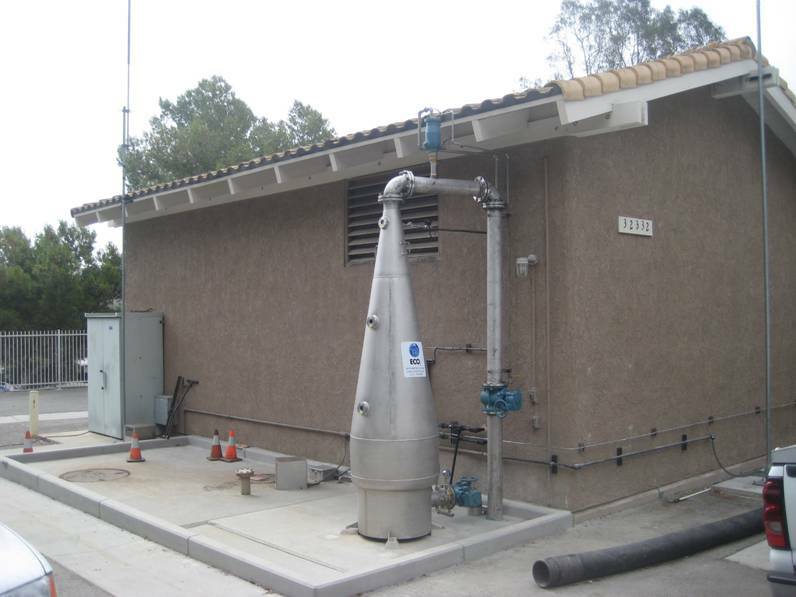 The City elected to install on-site oxygen generation to allow the entire ECO2 system to be built inside of the existing pump station. 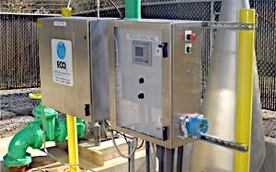 The first ECO2 SuperOxygenation system was installed at the Upper Salada pump station during the Summer of 2008. 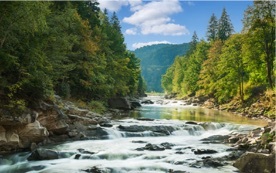 It was meeting all design criteria and in 2010 the District acquired a second system for the Lower Salada pump station. The system operates by redirecting a side-stream flow of 700 gpm of raw, unscreened wastewater from the force main and pumping it through an ECO2 Cone. 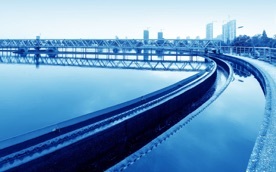 Oxygen is generated onsite by vacuum swing adsorption technology. 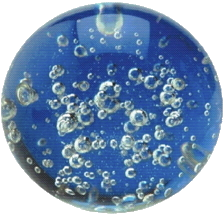 Oxygen gas is delivered at a rate of up to 500 lbs per day into the ECO2 Cone which has an exceptionally large oxygen/wastewater interface generated by an intense bubble swarm to achieve rapid oxygen dissolution. 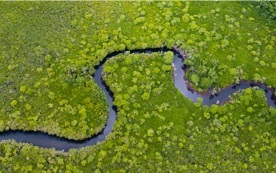 The ECO2 SuperOxygenation system completely dissolves the gaseous oxygen into the wastewater side-stream before it is blended back into the force main. Enough oxygen is dissolved into the force main to oxidized existing H2S generated upstream of the force main and sustain aerobic conditions through the remainder of the force main, thereby preventing the formation of H2S and the associated corrosion.